“Hoshinchu” literally means “STAR PEOPLE” in Japanese. We, people are blessed to be given life on planet Earth. But, we carelessly forget our virtues leading ourselves to perceive we are and can be the cause of some of Earth’s global destructions. It is now vitally important for us to realize we are “Hoshinchu” and need to prevent such crisis and protect Earth. 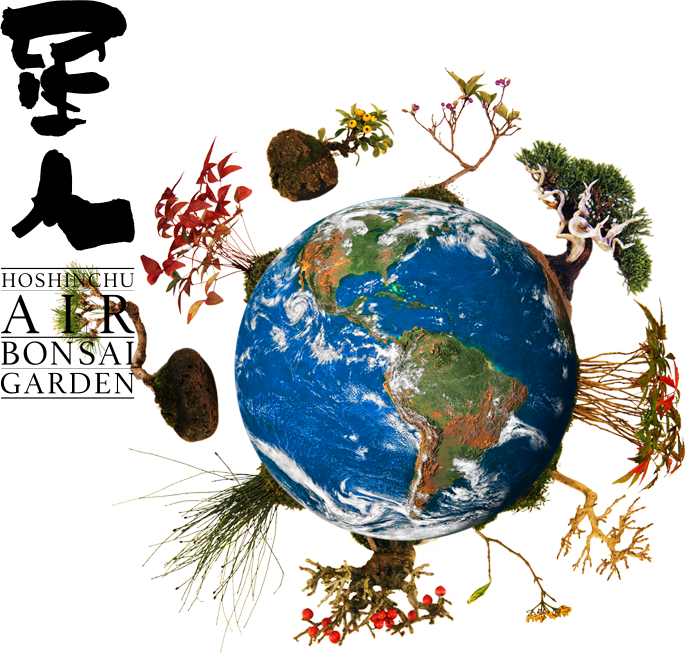 It takes unlimited time and immeasurable energy to heal Earth and Nature. We need to continue to endeavor for our happiness and for our future “Hoshinchu”. Please continue to support our project as fellow “Star People”. Launched the Air Bonsai on Kickstarter, global crowdfunding service. Very first public display at Instagram’s party in Tokyo with founders Kevin and Mike. Special cooperation at the Setouchi Triennale 2016, one of the largest art festivals of modern art, with over 100 million visitors. 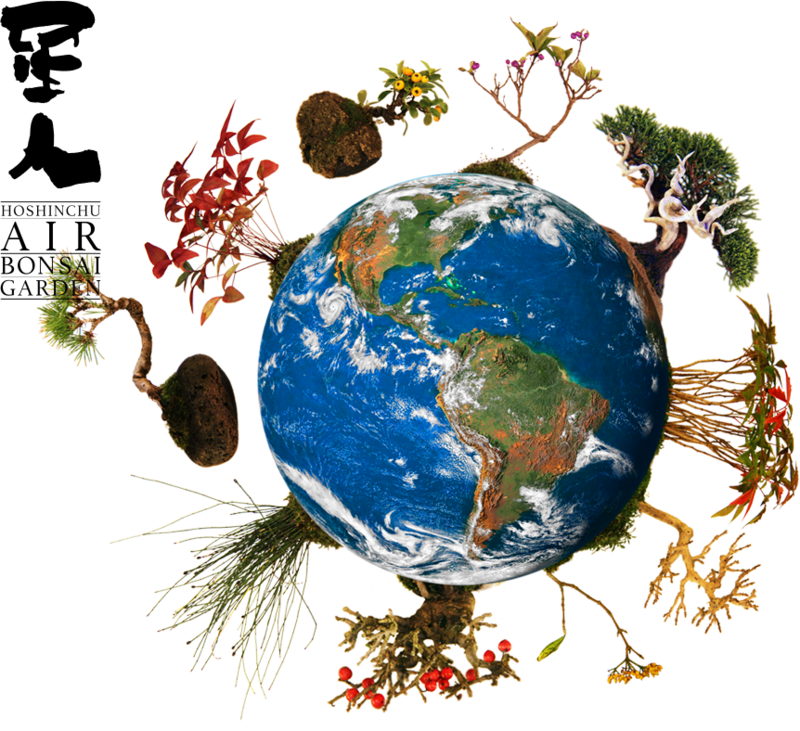 Nurture and take great care of your Planet, Earth. © 2017 - 2018 HOSHINCHU AIR BONSAI GARDEN All rights reserved. 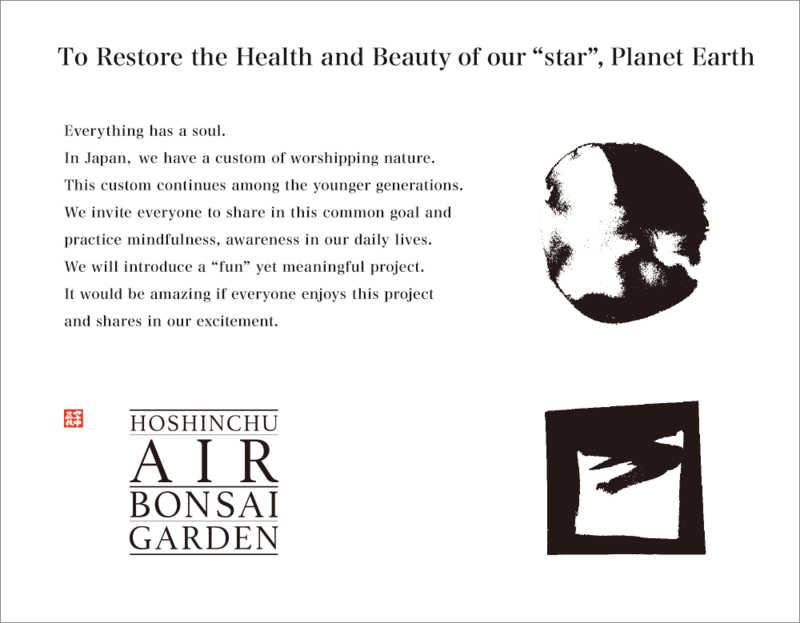 Hoshinchu Newsletter will bring you the latest updates on Hoshinchu Air Bonsai Garden. Please click here and send in a blank email to subscribe.